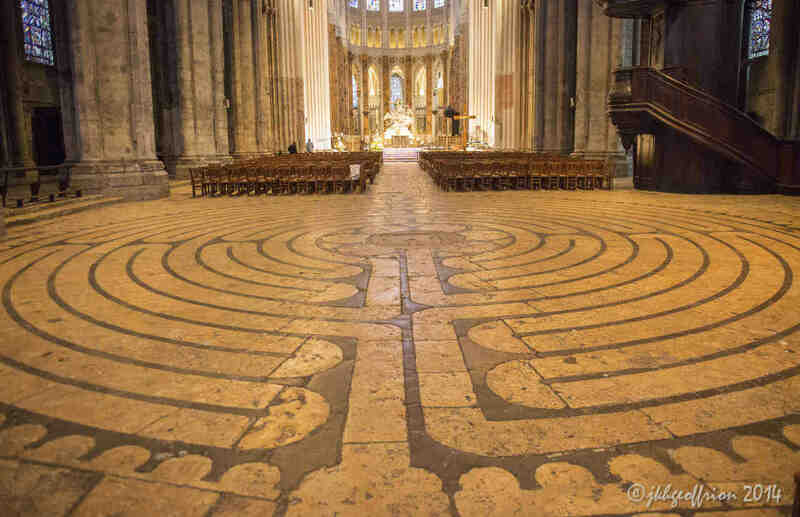 While walking and praying the labyrinth in Chartres, images of Mary have reminded me of God’s love. In the coming days and weeks I will be sharing a variety of these depictions of Jesus’ mother with you. Today I start with the image of Mary that is most visible from entrance of the labyrinth and when arriving at its center. Mary, as depicted in the Chartres Cathedral, is a support for Jesus–as his mother, his disciple, and even as in this image, as his throne. Jesus, may I, like your beloved mother, help others to see, know, and follow You. Imagine yourself sharing Jesus with others in a very natural way that comes out of who God created you to be. What prayers are emerging in your heart, mind, body, and imagination? Pray them now. Mary’s feet, planted firmly. She is a strong, grounded support for her son, Jesus. Mary and Jesus blessing. Jesus is a child that looks like a man, thus showing both his human immaturity and divine wisdom. 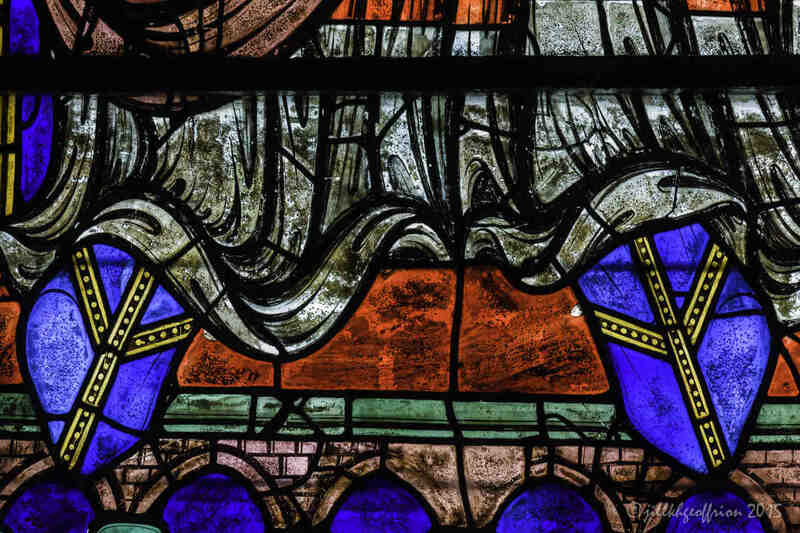 The top panels of the thirteenth century stained glass window in the East at the Chartres Cathedral in France.